The kennel has fifteen picture-windows while the cattery has three. Each offers a southern exposure for natural winter warmth augmented by our climate control system. The kennel and cattery climate control systems provide air filtration and outside air exchange, thereby eliminating air-born viruses and bacteria. We pride ourselves on offering the best care for your pet while staying at the resort. We want your family member to be as comfortable as possible and will make every effort to do so. We require a credit card to hold reservations. Cancellations must be made at least 24 hours prior to your scheduled reservation. 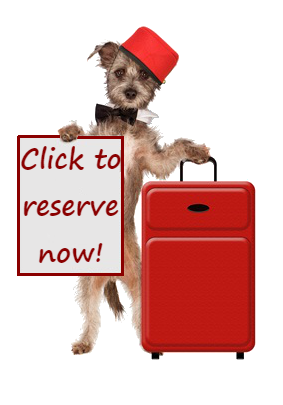 Rates vary by pet-weight, and daily charges are incurred just as a hotel. If you pick up your pet before noon on the last day, there will be no charge for that day.